Leading Wholesale Trader of radiator rubber hoses from New Delhi. With the assistance of our team of professionals, we are involved in rendering world class range of Radiator Rubber Hoses. Available in various sizes, shapes and lengths for our esteemed clients, the offered product is broadly used in commercial and industrial areas. Developed by our skilled professionals in accordance with international standards, this radiator hose is known for its diverse features like durability, smooth operations, thermal & corrosion resistance, easy to use and low maintenance. These are quality tested and are widely used in the passing of steam and hot water in radiators. These radiator hoses are available to our clients at the industry leading prices. Materials: EPDM, Silicon, NBR, NR etc. 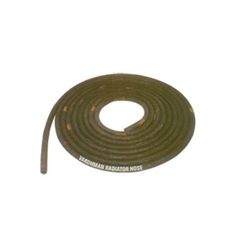 Looking for Radiator Rubber Hoses ?